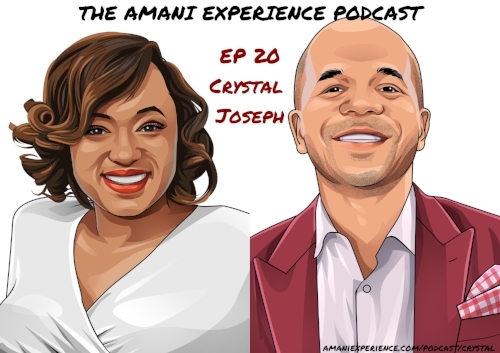 In this episode, we talk with Crystal Joseph who shares tips for getting over anxiety, why therapy is frowned upon in minority communities and why planning is the one lesson that took her the longest to learn. Enjoy the show! 4:46: How one of Crystal's youngest patients suggested she start her own business. 7:02: Where the name Psyc Your Mind comes from. 17:03: What happened when a client chased Crystal down Georgia Avenue in a rage! 20:28: Why growth scares her. 26:07: Quick tips on how people can manage anxiety. 38:05: The most influential people for Crystal growing up. 41:17: Why planning is the lesson that took her the longest to learn. 43:42: "Truth is not tattoed on me for no reason"
51:30: Why going to therapy is frowned upon in the African-American community and other minority communities.